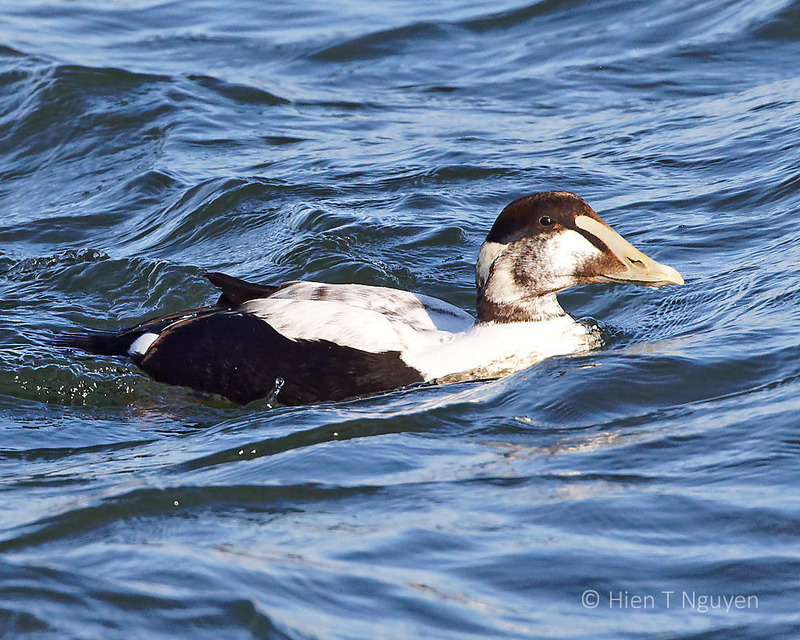 Common eiders are very rare visitors to Michigan, so it was nice to see your excellent images of them. But, it was sad to see the juvenile waiting to die. Beautiful photos :-). Wounded birds are so sad to see. 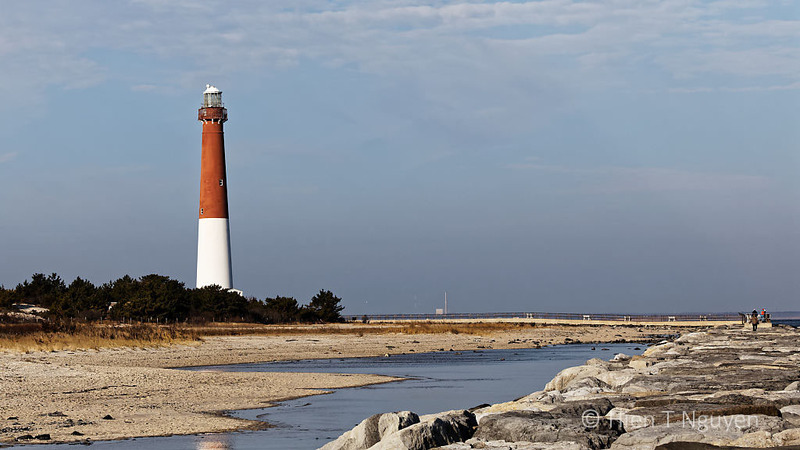 Sometimes wildlife rehabilitation shelters take injured birds, if there is one not too far. I wonder if it would have been possible to pick up the bird with a towel or t-shirt? That is probably easier to do with smaller birds. 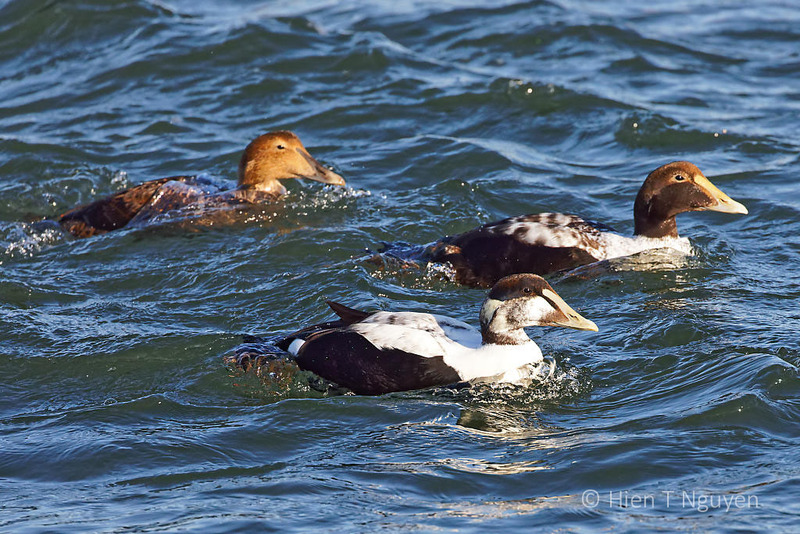 The person who pointed out the Eider to me said it was likely to die that same day. Sad. 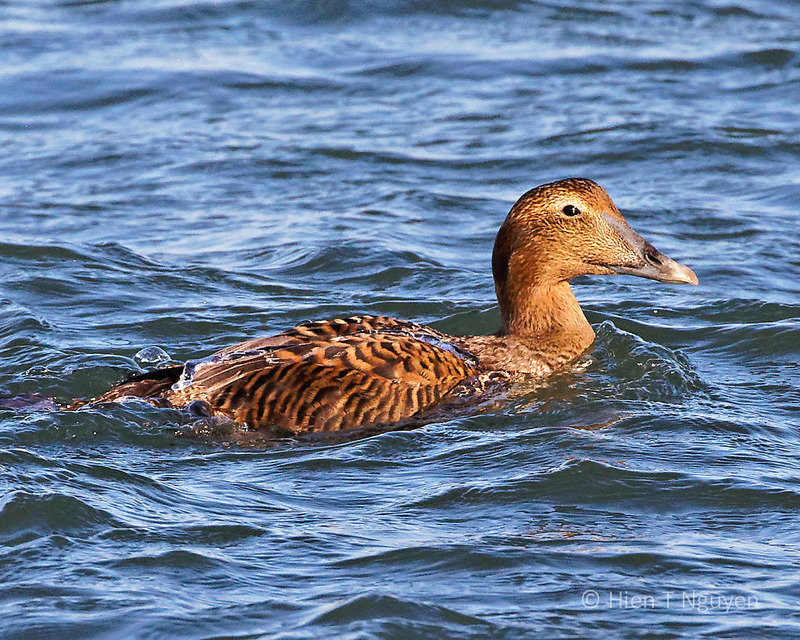 At least the other eiders were looking well. Beautiful birds. I hate to think of that young one suffering. So sad. 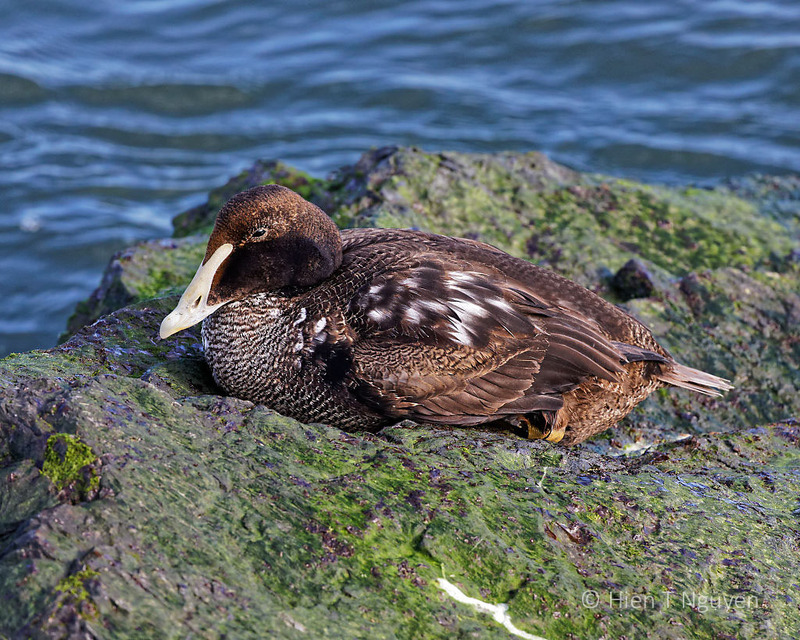 The Eiders are large ducks, and become easy targets for hunters. That young one was going to die by the end of that day. Indeed. Still so young too. I agree, sad end for the Eider.